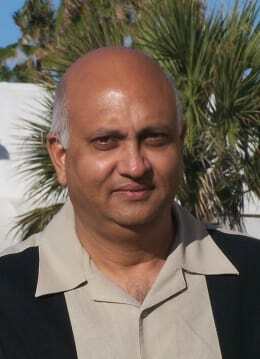 Barry Patel received the 2018 Director's Award. Having built 7 hotels on the Island there is no doubt Barry is very invested in South Padre Island. The economic impact and the employment level his hotels contribute to the Island are vital to our community. He has shown the Chamber, and numerous other non-profits in the community, that he is not only a shrewd business man, but also a very supportive and generous individual and mentor. This year’s Ambassador’s Award recipient defines the saying “if you want something done, ask a busy person”. 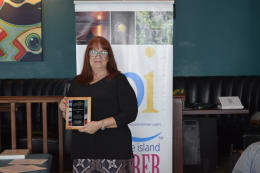 A force to be reckoned with, an energetic entrepreneur, and an active chamber member; she regularly attends Chamber ribbon cuttings, mixers and luncheons, and serves as an Islander and a Chamber Director. She is a dedicated membership recruiter, and recognizes the incredible value of Chamber membership. 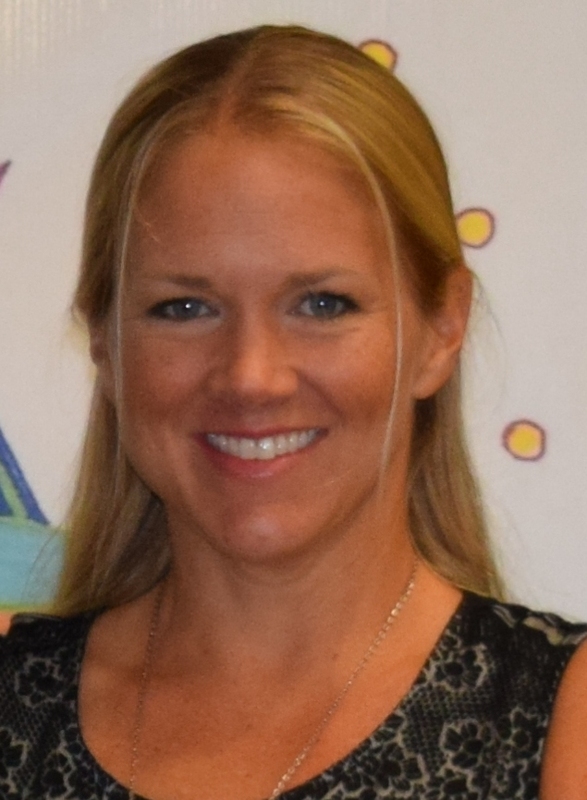 And if that isn’t enough, she also serves on the Chamber’s Spring Fundraiser Event Planning Committee. 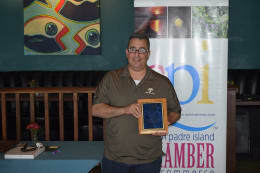 This year our Kukui goes to Chamber of Commerce Board Member Mark Haggenmiller, with Padre Island Brewing Company. He will serve this year as our Vice Chairman and has always been willing to serve in a leadership role when needed. 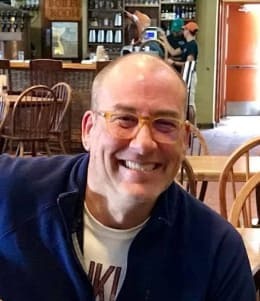 Mark is a third generation brew master and as President and Operating Partner at Padre Island Brewing he leads a group of entrepreneurial shareholders who opened their doors July 21, 1995. Mark offered Padre Island Brewing Company as our Chamber’s new home location for “Coffee and Conversation”, and has for many years been an event and trophy sponsor for our annual Ladies Kingfish Tournament. Mark and the Brew Pub were also recognized for their accomplishments with the 2016 Governor’s Small Business Award. 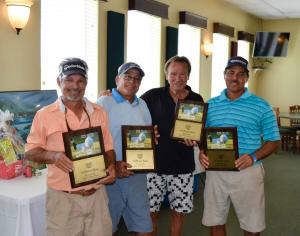 For everything they do for our Chamber including their longtime membership support and even bigger sponsorship for our Ladies Kingfish Tournament, Louie's Backyard was the recipient of the Community Partner Award. Louie’s Backyard is an island icon and has been instrumental in coordinating the weekly bayside fireworks for many, many years. Louie’s is a conscientious business operator and anchor of the bayside entertainment district, promoting fun for all ages. They host many island activities at the restaurant and generously support many non-profit organizations. Each year nominations are received from chambers of commerce and cities across the Rio Grande Valley for recognition in the Rio Grande Valley Walk of Fame at State Farm Arena, sponsored by the City of Hidalgo in conjunction with BorderFest. Nominees are considered for induction based on their life achievements and significant civic contributions. The South Padre Island Chamber of Commerce nominated longtime chamber member and Island business owner Barry Patel to the RGV Walk of Fame for 2018. Patel was selected for this great honor and was recognized at the official induction ceremonies on February 28, 2018 at State Farm Arena. The building of seven hotels on South Padre Island, and a total of twenty-two in the Valley by Barry Patel has resulted in a $400 million economic impact, and the employment of 500-600 people in the on-going operation of the hotels. In addition to being a widely recognized leading hotel developer and respected businessman, Patel is a dedicated South Padre Island community leader serving on numerous committees over the years including the past three years as Mayor for South Padre Island. He continues to share his vision for the future of South Padre, and is currently constructing a new Marriot Hotel on the Island. The economic impact of Patel’s hotel developments has been extraordinary, and as public servant he has initiated and carried out a significant number of projects important to the continuing development of South Padre Island as a premier tourism destination, and as home to Island residents. During his public service to South Padre Island, Patel has accomplished and/or laid the ground Convention Centre renovation; Queen Isabella Memorial Bridge boardwalk repairs; sidewalks on Padre Blvd. ; Gulf Blvd reconstruction and improvements; extension of the Padre Blvd. median project; establishment of a venue tax and proposed improvement projects; legislation to generate tax funds earmarked to improve Laguna Madre Bay accessibility; received three major grants for parks, Padre Blvd. and Corral Street ramps; 1st phase construction of Tompkins Park; improvement plan and start of improvements to all side streets with curbs and gutters; improved working relationship with Cameron County Commissioners; and helped win approval of the TERS designation for South Padre. While serving on the SPI Convention and Visitors Authority, Patel was instrumental in crafting legislation, and advocating with State legislators and State Tourism Officials, for a half percent increase in the hotel tax specifically for Island beach re-nourishment. Because of these efforts, monies for maintaining the beautiful South Padre Island beaches are secured for the foreseeable future. 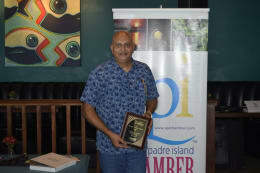 Barry Patel has consistently been committed in his support of local non-profit organizations, community events and public organizations, including South Padre Island Chamber of Commerce, South Padre Island Birding and Nature Center, Sea Turtle Inc, Friends of Animal Rescue, U.S. Border Patrol, El Paseo Arts Foundation, and most all area events from walks, runs, fishing tournaments, Laguna Madre Education Foundation Scholarships, hospital fundraisers, and the list goes on. Without hesitation, Patel offers financial support, venues, support services and his personal time and energy for the benefit of our community. Patel currently serves as Chairman on the Cameron County Beach & Dune Protection Committee and is an active member of the Asian American Hotel Owner’s Association. His past service on South Padre Island includes: Convention and Visitors Authority; Shoreline Taskforce; Chamber of Commerce; City Council; and City Mayor. For Cameron County he has served on the Appraisal Review Board, and on the Appraisal District Board of Directors. Patel has been recognized by the RGV Hispanic Chamber; Indian Association of the RGV; Gujarati Samaj RGV; South Padre Island Chamber of Commerce as a Community Partner; and by the RGV Partnership. With Bachelors Degree in Pharmacy from the University of Bradford in England and from Southwestern Oklahoma State University, Patel began his career as a pharmacist, and was registered in Texas, Florida and New York. Patel’s family includes five brothers and one sister, all in Texas. Together they have eleven children and six grand children. Barry is married to Jayshree Patel. Patel joins the outstanding list of SPI Chamber’s RGV Walk of Fame inductees including Troy Giles, Richard Franke, Robert N. Pinkerton, Jr., Jake Falgout, Darrell Mangham, Dan Stanton, David Friedman, Lynne Tate, Bill Donahue, Gary Meschi, JoAnn Evans, Mickey Furcron, and Jimmy Parker. To be eligible a Chamber Member must 1) Support in action and word of the Chamber’s mission statement, 2) Contributions to the success of the Chamber which exceeds normal expectations, 3) Presence and participation in Chamber events and activities, 4) Financial support of programs and activities organized by Chamber, 5) Community and charitable involvement, and 6) Proponent for business growth and development. Awarded to a Chamber member business, that by action, makes significant contributions to support the mission of our Chamber, our program of work and our community. To be considered an individual must 1) Be a Chamber member in good standing, 2) By word and action promote the benefits of Chamber membership throughout our business community, 3) Possess a positive and energetic attitude, 4) Be a proponent for business growth and development, 5) Be successful in identifying and recruiting new Chamber members and assist in member retention and efforts, and 6) Frequently attend Chamber meetings and events. Presented to an individual who leads by example and has provided support which has contributed to the success of the Chamber and our Business Community. 2006 - Richard Franke, Jr.
2007 - Robert N. Pinkerton, Jr.